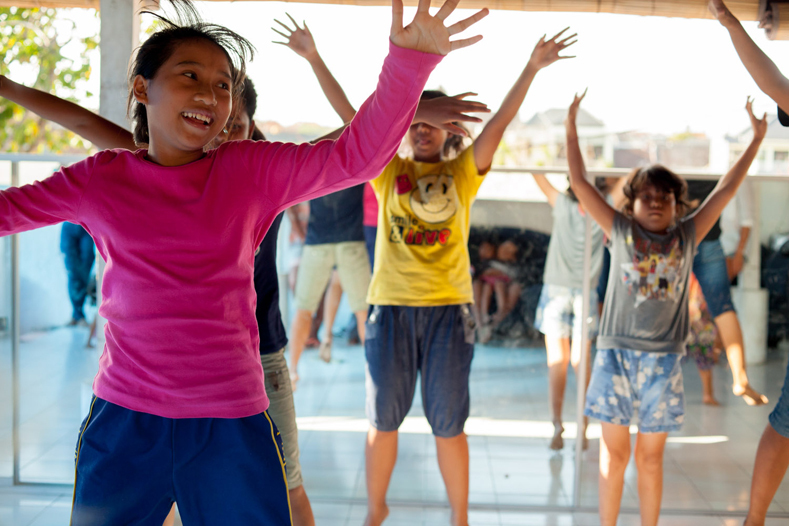 Giving back and getting involved with the local community during Bali’s Big Eco Weekend has been an incredible experience. Even better, connecting with the communities we visit is always the icing on the cake. Inspired to continue giving back to the Bali community, we discovered the story of YKPA kids through some of the items they sell locally. YKPA “Yayasan Kasih Peduli Anak” is making an impact by offering opportunities, giving loving support, education, health care, and skills for disadvantaged children. Kelia Moniz, Rosy Hodge, Bruna Schmitz, LeeAnn Curren and Sally Fitzgibbons spent an afternoon getting to know the kids and learning about the organization. As we toured the home, a group of kids were practicing some of their dancing. 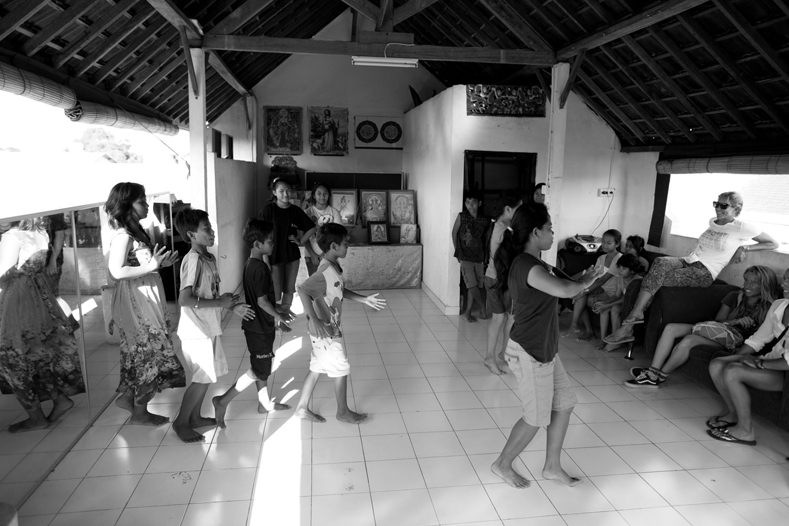 Initially shy, they showed us their moves - a beautiful mix of contemporary and traditional Balinese dancing. 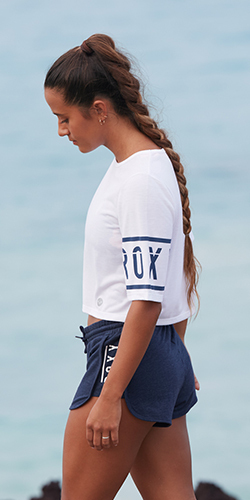 It wasn’t long before they were pulling the Roxy team up for a few lessons! Laughing at our lack of rhythm for the Balinese style, the kids took over the dance floor with another choreographed performance. With the dance lessons over, the kids took us out into their courtyard. Communication wasn’t easy with the language barrier but laughter and a soccer ball were the perfect tools for translation. It was a special afternoon, to spend time with the children who have so little when it comes to possessions but so much when it comes to passion and spirit. We enjoyed all of the laughter we shared and won’t forget this day in Bali.